First, it should be noted that the phrase "seminary schools" is generally considered redundant. A seminary is, by definition, a school. 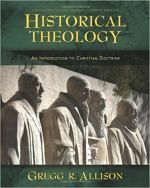 However, many of my Internet visitors who are interested in graduate theological education use the term "seminary schools" to search for seminaries and divinity schools, so this page is named to facilitate their search. 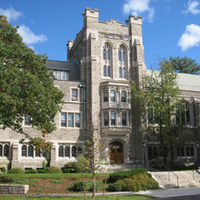 The following list of seminaries and divinity schools are arranged in three ways to provide help for the potential seminarian. First, they are listed in alphabetical order, then geographically by state, and finally by denominational affiliation (or lack thereof). It is worth noting that this list of "seminary schools" is not yet comprehensive, though that is the goal in time. If there is a particular school you would like to see listed, by all means, contact me and let me know. I hope for the page to be exhaustive eventually. However, this exhaustiveness has its limits. As you can see by a careful perusal of the schools listed below, I have focused solely on Protestant seminaries and non-sectarian schools of divinity, so there are no Roman Catholic seminaries listed (at least yet), nor are there any schools listed outside of the United States.